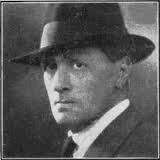 So, never mind – and let us remark instead that yesterday would have been the 140th birthday of Rafael Sabatini, the author of historical adventure in the Twenties, Thirties and Forties. 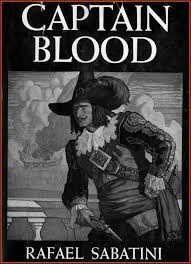 Actually, his career was much longer – he published his first novel in 1902 – but true success took two decades to happen, with Scaramouche, followed by Captain Blood, and Bellarion the Fortunate, and so on and so on for nearly thirty years. This means that, if you are into the genre, there is a wealth of novels and short stories ranging from good to really great. At its best, Sabatini’s work is first-rate historical adventure: colourful, sparkling tales of derring-do, with engaging characters, sparkling dialogue, a sense of humour, swordplay galore, a wonderful sense of the time-period, and the general feel of those long-ago, breathless afternoons of make-believe – you know what I mean. Perfect, but perfect summer books. Plus, there is the fact that Sabatini was not a native speaker. He was half-Italian, and a polyglot since childhood, but didn’t become really fluent in English until his late teens, when he went to live in England permanently. After which, he proceeded to become a writer – and a very popular and beloved one, at that. For obvious (and more than a mite wishful) reasons, I find his story very, very inspirational. So, let us all wish Mr. Sabatini a belated happy birthday – and, on the chance that I have managed to make you curious, here is a dedicated website with biographical notes, illustrations and reviews, and you can find a good deal of his novels, stories and historical non-fiction at Project Gutenberg and Internet Archive. 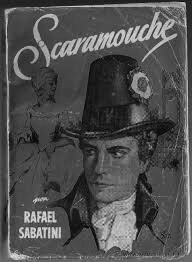 I noticed a few years back a certain division between fans of Sabatini’s adventure novels and those that leaned more towards his non fiction or his less-swashbuckling narratives. Something that I seem to find also among fans of the other great adventure writers of the time – Talbot Mundy (a neat division between swashbucklers and Teosophical-inspired books) and Harold Lamb (and here the divide is between his stories and his biographies). The matter is worth further investigation. What is interesting is, Sabatini was a blurrer of lines – with things like the Historical Nights, some of whom he described as very embellished or even apocryphal… Would a Serious Reader see them as Nonfiction or deplorable fiction? But indeed, such divisions are artificial and reside more in the mind of the readers than in the books themselves. As for fiction not being real, shouldn’t they ask themselves if non-fiction can be any more real than fiction? Very nice – but something the Serious One don’t, don’t and don’t get, no matter how you try. And I’m aware it’s just another of those irrelevant questions, but, since we are talking of people in whose minds such artificial divisions do reside, I remain curious: to them, just what kind of beast are the Historical Nights? …ights? …ights? …ights? The Historical Nights are, probably, either fiction or non-fiction, depending on the inclinations of the observer.